It’s a cop-cam but knot as we know it. Student and speeder Trevor Keeney fesses up as soon as he gets out of the car in Menomonie, Wisconsin. The incident is captured by officer Martin Folcyzk’s dashcam. While Keeney is initially pulled over for speeding, it soon becomes clear this is no ordinary traffic stop. The student is seen putting on the tie, but it’s still not properly done so Folczyk fixes it for the second time. “Looks good,” Folczyk says as he gets back into the police car. The footage was released by police on Tuesday and according to ABC affiliated news channel WBAY, Keeney got 92 out of 100 for his presentation. 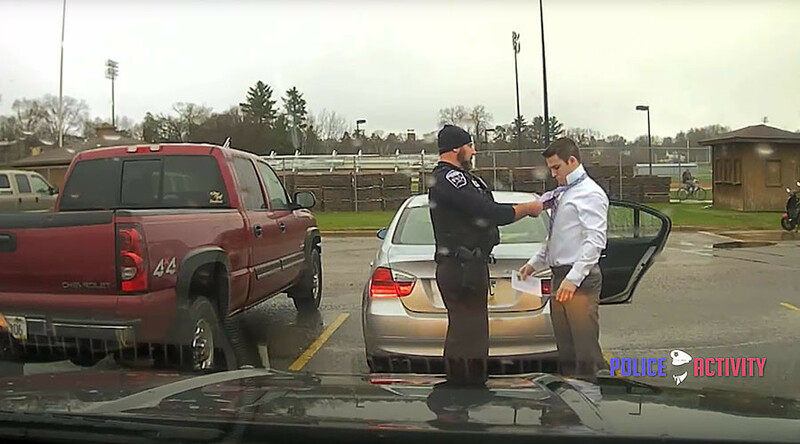 What’s more, the police chief also invited the student to Menomonie police station for a tutorial on how to tie neckties.